Family Office Insights sits down with Lo Toney, Founding Managing Partner of Plexo Capital, to discuss discovering early stage, underserved differentiated deals through investing in women and minority-led VCs. Tell us about your background and your venture capital firm, Plexo Capital. During grad school, I knew that I ultimately wanted to go into the Venture Capital world, and I asked the visiting VCs about the best path. They recommended that I learn product management and gain as much operating experience as possible. So I began a path of working in technology companies, both large and small to gain valuable operating experience. My career includes product management, marketing, and general management at the executive level at companies as large as Nike and eBay, as well as, successful startups that went public or were acquired by public companies. Business Insider ranked me as the “26th Most Important African-American in Technology” along with features in The Wall Street Journal, Fortune, and Yahoo News. In 2014, I started my career in VC as a Partner with Comcast Ventures sending half my time with the main fund and the other half spearheading the Catalyst Fund — a $20 million fund focused on investing in early-stage technology startups led by women and minority entrepreneurs. In Silicon Valley, less than 1% of venture capital goes to underrepresented minority-founded start-ups each year, which is something I am passionate about bringing to the forefront, as well as, being a voice for minority entrepreneurs. Currently, I am in a unique position that can only happen if you’re a part of the Alphabet/Google Family: I am incubating a new venture fund named Plexo Capital inside GV (formerly Google Ventures). The fund is based on GV's strategy to increase access to differentiated deal flows. GV's strategy is to make LP investments into women and minority seed stage VCs. This is where we found that these VCs are identifying opportunities at the early stage that can achieve venture scale. This is how Plexo Capital was started. Plexo is Portuguese for “intricate network,” which is exactly what women and minority VCs tend to have. Their own inherent diversity makes their outlook broader and more open –– they tend to cast their net wide and have a wider lens to spot underserved opportunities that other VCs may particularly miss at the seed stage. A common misperception is that women and minority VCs are only investing into women and minority entrepreneurs which is not true – they are investing into entrepreneurs of all types and are catching missed and underserved opportunities. In addition to making LP investments into venture funds, Plexo Capital will also make direct investments into the most promising companies of the VCs where we have an LP position. I like to call this an extended due diligence period, which allows us to get to know the best opportunities within our VC network early and over a longer period of time. Who is Plexo Capital’s target audience? to their technology or business models, especially where those innovations are additive or disruptive to the corporation's business. We are talking with corporates who are interested in getting deal flows where they have access to technology, distribution, downstream investment, and even M&A; these perfect partners have the vested interest and can add tremendous value to portfolio companies. Single and Multi Family Offices are also very interested in working with us. Typically, Family Offices are looking for opportunities to invest directly into technology startups. Many Family Offices are invested as an LP into early stage venture funds as a way to gain access to deal flow. Of course, the process of making an LP investment means that the Family Office must spend the time determining the right GP to work with and then perform the due diligence to invest into one GP. With Plexo Capital, we are targeting 10-12 top tier, early stage GPs, which allows us to have access to their portfolio companies. To provide insights into the most promising of these companies, we are building a world-class technology platform that gives Family Offices the opportunity to directly invest into a curated set of highly vetted portfolio companies. Two issues faced by VCs in today’s market are 1) how to grow the consideration set of deals to choose from, and 2) how to find the non-obvious deals at the earliest stage possible. The insight for Plexo Capital was a path to differentiated deal flow. A great VC has a great network; women and minority VCs possess the most unique and expansive network due to nontraditional paths, tight-knit communities, and sense of support. Seed stage VCs need the ability to determine if a company can enter escape velocity and achieve the scale and business model that can provide the returns necessary for venture investment. We find that the best women and minority VCs tend to have a wider lens that allows them to spot opportunities that other VCs might miss. Ten to fifteen years ago, it might not have mattered too much to miss a deal given the concentration of financing options at the early stage: a provision non-obvious deal would not have received funding, therefore, not come back to bite the VC that passed. In today’s market, there are many more financing options at the early stage to help a company get to the point where the data proves there is an opportunity. These two challenges are what led to the fundamental strategy behind Plexo Capital. Our strategy is to identify the best women and minority GPs with extensions to their networks that allow them to identify differentiated deal flow and then have the lens to select the best opportunities. How is Plexo Capital different from its key competitors? Plexo Capital is very different from a fund of funds. We have four main areas of differentiation including: 1) a unique technology platform, 2) our evaluation process, 3) network effects, and 4) access to deal flow. First and foremost, we are creating a unique technology platform that helps the entire value chain including the entrepreneurs and their GPs, as well as, Plexo Capital and our LPs. Entrepreneurs will be able to report information in a consistent manner to their GPs with valuable context on their metrics to help entrepreneurs understand where they rank on key metrics. This information will provide contextual visibility into portfolio companies’ performances. In addition, the technology platform will be available to the LPs of Plexo Capital, and while all the information will not be accessible, there will be enough data for the LPs to also understand the outlook and landscape of these promising companies. Our evaluation process is also unique. Most fund of funds rely on realized return data as the foundation for their selection process. While this may help funds that are later in stage and have had multiple funds up until that point, it is not effective in the evaluation of seed funds where the majority of the returns are unrealized. Most of the GPs we are looking at have portfolios that are comprised of unrealized returns. As opposed to relying solely on the paper gains of downstream investors, we use a bottoms-up approach to break down the GP’s portfolios into the individual companies and evaluate them individually. Through this process, we get to better know the GPs to understand their investment philosophy, strategy, portfolio construction, pipeline, etc. We model out the ownership targets that are required to provide the returns necessary for us to achieve superior performance. Since this model favors significant ownership, we look for managers who are able to lead early stage rounds and set the valuation and terms that are ownership-focused. This eliminates a large number of managers from our consideration set because even if they do identify a few home runs, it will not matter if their ownership stake is not large enough. We are building out a model that we believe has inherent network effects in the value that we provide for the entrepreneurs, GPs, and LPs. Our LP strategy includes targeting corporates and select family offices that are able to provide additional resources and perspectives augmenting the value that GPs are providing to further accelerate growth. At GV, we have an operating partner model — in addition to the investing professionals, we also have functional experts to help with the day to day things an entrepreneur thinks about, such as, how to increase top of funnel conversion; how to prioritize next quarters product road map; and how to hire the director of engineering. Taking a page out of our playbook, Plexo Capital is building out an expert network of functional experts that can help the entrepreneurs in the portfolios of our GPs. The combination of the LPs, GPs, entrepreneurs, and experts creates a network that provides value across all end points. We offer our LPs a set of curated deal flow based on their objectives. For Family Offices, we provide what we call extended due diligence by tracking the performance of the best 10-12 top performing VCs that make it into our portfolio. Using the skill set and analytic techniques of a top tier venture fund, we perform the type of analysis that is not done at majority of fund of funds. For corporate LPs, we offer access to early stage companies at reasonable valuations that have interesting technologies and innovative business models that corporates are looking to learn from. In addition to the downstream investment opportunities, corporate LPs have the ability to partner for distribution, have access to technology, and in some cases, an M&A. Plexo Capital is redefining the market for LPs, GPs, and entrepreneurs by building our business as an entrepreneur as opposed to strictly like a VC. We spend an extraordinary amount of time understanding our market and the needs and opportunities. The traditional Sand Hill Road venture funds are lagging Wall Street when it comes to creating new and innovative models, particularly those using science and technology as a core strategy. Our approach with Plexo Capital is to provide the market with solutions that are designed to map to the opportunities and needs within the technology startup ecosystem, as well as, the LP landscape. The ideal investors into Plexo Capital are Single and Multi Family Offices and Corporations through their Venture Capital Unit. For the Family Offices, we provide a differentiated offering that gives them exposure to the venture asset class through the best performing seed stage managers along with access to their portfolios to understand where the best opportunities exist for direct investment. On the corporate side, we provide access to a pipeline of deal flow at the early stage where they can partner, invest, or acquire technologies and business models that are either additive or disruptive to the corporate’s business. The size of the fund is $50-$100M, without a hard cap. The minimum amount is $1M from a Family Office and depending on the corporation, about $5M. With the capital we raise, 60%-70% will go into LP investing, and the remaining 30%-40% will go into direct investing. My mission for Plexo Capital is to deliver superior returns along with using a unique and differentiated strategy to do so. My personal mission has always been to increase access and opportunity into the tech ecosystem. The one thing I realized from my trips to New York City is that Silicon Valley and the technology investing community has not done a great job at telling our story. I know that there is an appetite for people outside our bubble to know more about the opportunities we offer so we need to do a better job of providing that. With Plexo Capital becoming its own entity, I will no longer be a GV employee, but am incredibly thankful for the blessing and relationships my GV Family has given me. Since Plexo Capital is independent of GV and Alphabet, we are talking to Alphabet to become an investor. My goal is to do our first close in the middle of this year, and then we will formally spin out and charge off to the races. 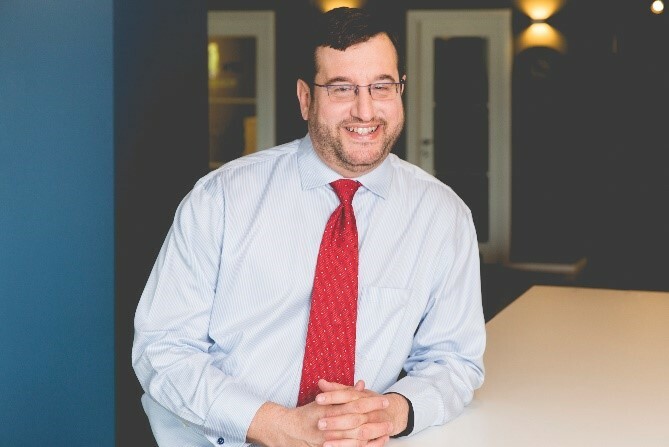 Lo Toney is an innovative global leader with over 20 years of extensive experience in providing start-up companies with the tools and tactical solutions to scale from prototype to acquisition. His career includes strategic and operational roles at the executive level at Nike and eBay. 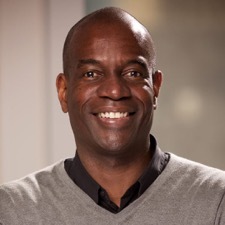 Currently, Mr. Toney is a Partner at GV (formerly Google Ventures), where he focuses on investments in marketplaces, mobile messaging, and digital media. Prior to GV, Mr. Toney was a Partner at Comcast Ventures, spearheading the Catalyst Fund—a $20 million fund focused on investing in early-stage technology startups led by minority entrepreneurs. He is a champion of change in Silicon Valley, where less than 1% of venture capital goes to underrepresented minority-founded startups each year. He was named the “26th Most Important African-American in Technology” by Business Insider and has been featured in The Wall Street Journal, Fortune, and Yahoo News. Mr. Toney is an advisory board member to numerous successful start-ups including Mpire/AdXpose (acquired by comScore), ShopFlick (acquired by PopSugar) and Kaboodle (acquired by Hearst Corporation). Mr. Toney simultaneously earned an MBA from University of California-Berkeley’s Haas School of Business and completed the Management of Technology program, a joint curriculum program with the College of Engineering. He received his B.S. from Hampton University in Virginia. To learn more information, please follow Lo at @Lo_Toney, or reach out to him directly at Lo@PlexoCap.com. Click here to learn more about Plexo Capital.